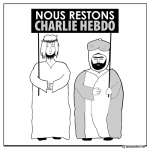 I read, “Onus Rests on” Charlie Hebdo. Interestingly (and unfortunately), that was the sentiment of many “progressives”. “Regressives” I’m sure you mean, Nakul. I was pleased recently to read that regressive left of the PEN community have for the most part thought better of their despicable behaviour last year. 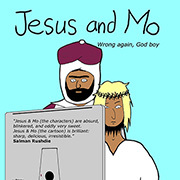 As Salman Rushdie said at the time: “when someone says ‘I believe in freedom of speech, but …’ I stop listening. It would also be nice if the media stopped referring to Islamist nut-jobs as ‘radicals’. What they are is exactly the opposite – reactionaries. 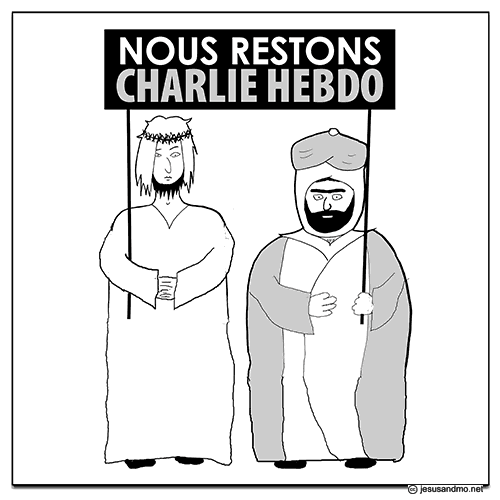 “We remain Charlie Hebdo.” We, oui! Toujours nous restons Charlie Hebdo. State your case, don’t constantly bray. Hard to believe a year has passed already. Thanks for the reminder, Author. We will always be Charlie Hebdo. I wish I had something witty to say about that, but wit deserts me on this occasion. I just feel sad. Well said, Hotrods… I’m getting fed up of making the same point..
Je crache dans le visage de tous les terroristes, en particulier ceux qui sont motivés par la religion.